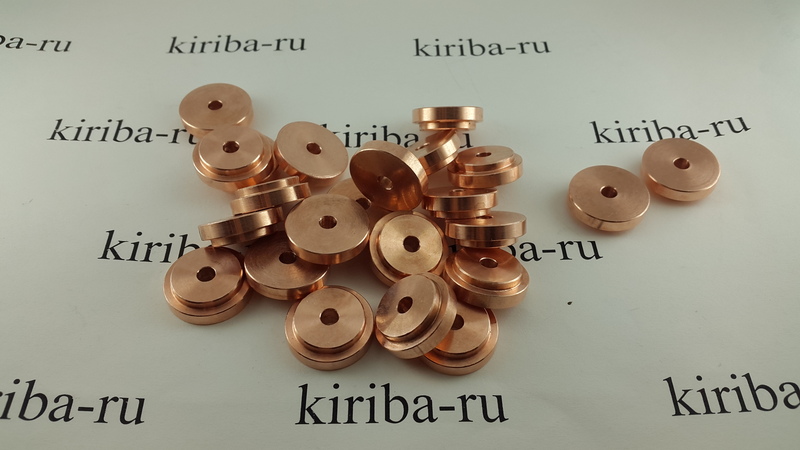 Low-cost copper pills, spacers, optics, drop-ins. 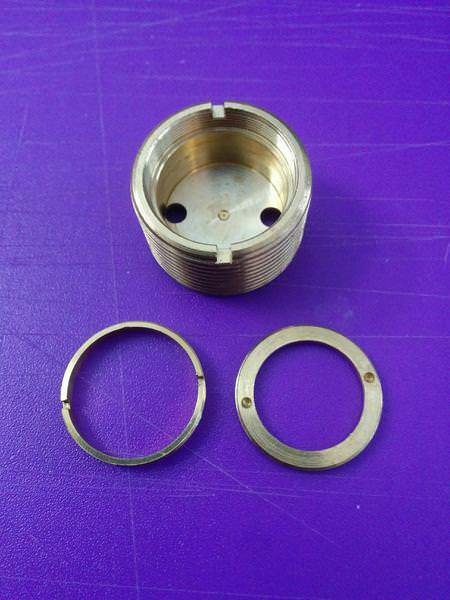 Custom parts on CNC lathe: 50pcs MOQ. Set includes: heatsink head, convoy ss bezel, AR glass lenses, Cute-3SS optics, retaining ring for 17/20mm drivers, required o-rings, drill bit for pcb. 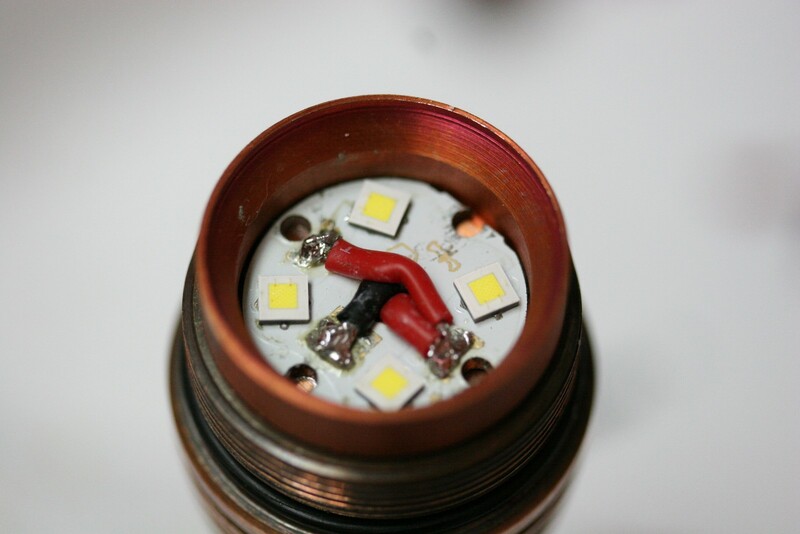 (Also you need XP32 pcb, 3x LEDs, driver. 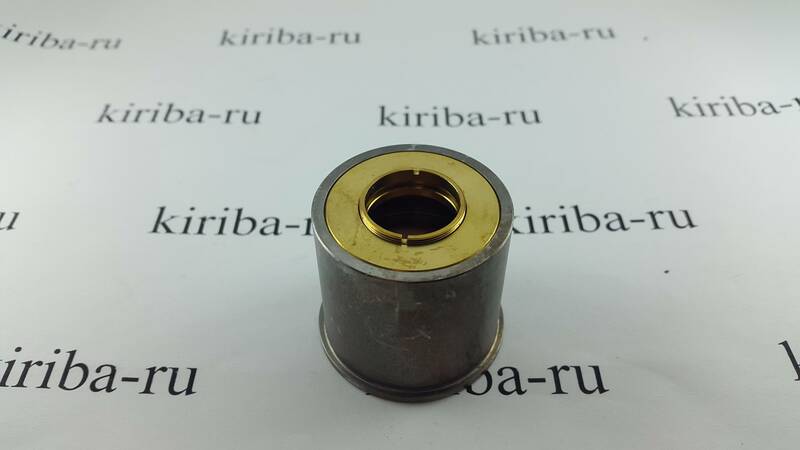 Place under driver pcb: Ф19×7mm). 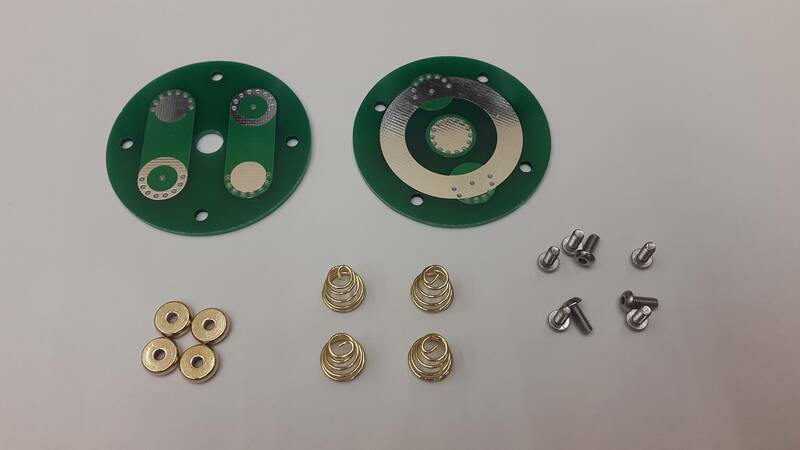 Recommended to use with a pair of 2.5mm positive driver rings (one goes to the medium board, another to the driver board. Please remember that in this configuration big brass ring is outer (negative) contact while positive pad is inside it). After your PM inquiry, you will get a link for fast payment in USD. Wouldnt refuse accept payments in EUR or GBP. Worldwide shipping within small parcel with tracking. Delivery to EU and US addresses takes two-three weeks. 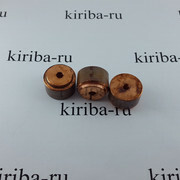 I will take: 2x Copper pill for triple Convoy S2+/S3/EagleEye X2 = $26 USD total shipped with tracking. Please PM me with your PP addie, thanks. Is this for the new S3 that has an integrated shelf instead of a pill? As I know pilled and pill-less convoys have same reflectors, so it should fit both variants. Dimentions are the same as spacers from mtn. Cool. I’ll keep an eye out for them at the end of March. Can you ship to the UK? After a copper pill for an X6 triple. 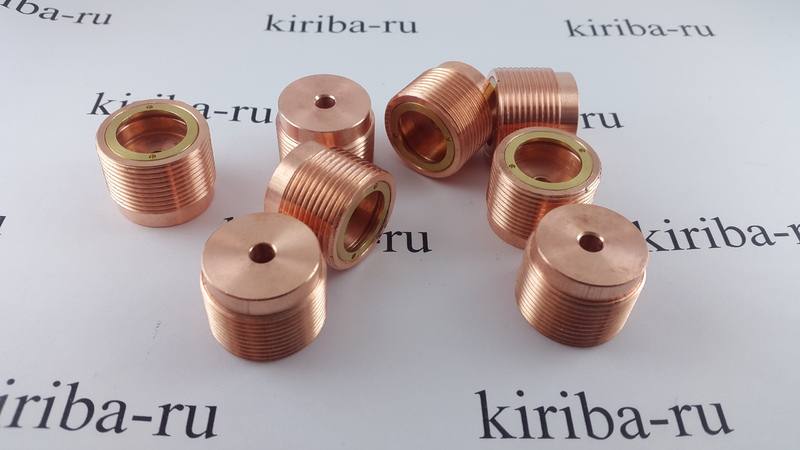 Payment sent for 1 x X6 copper spacer and shipping to UK. (10.6 spacer preferred, 8.6 if not). BTW – I forgot to add my BLF username to my PayPal transaction. Apologies. Very nice prices! Is there a link to the ebay page? Can I have one Cu and one Al spacer for X6? 10.6mm if possible. Please PM me. Thanks! 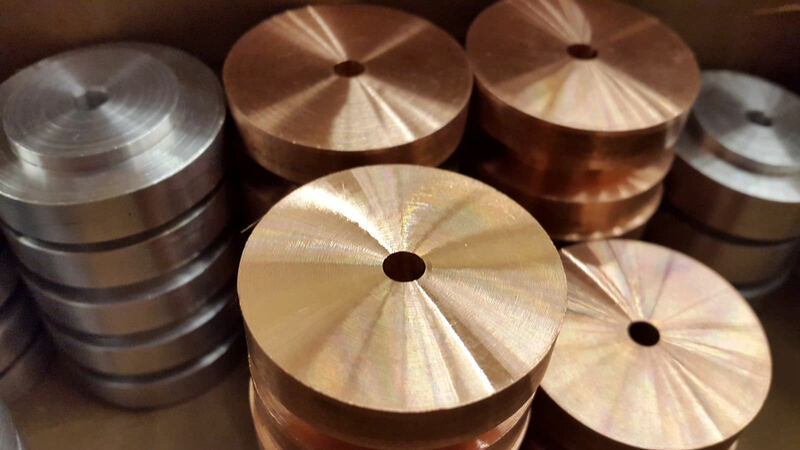 Waiting for “Copper spacer for Carclo triple Convoy S2+*”. Anybody interested in stainless steel lanyard rings? I don’t picture it, could you provide a sketch or a pic please ? 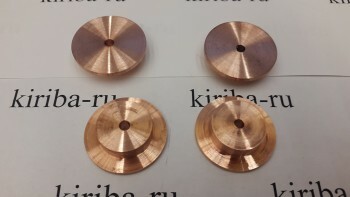 I have an S8 laying around so the copper pill seems very interesting. How much is it with shipping to germany. 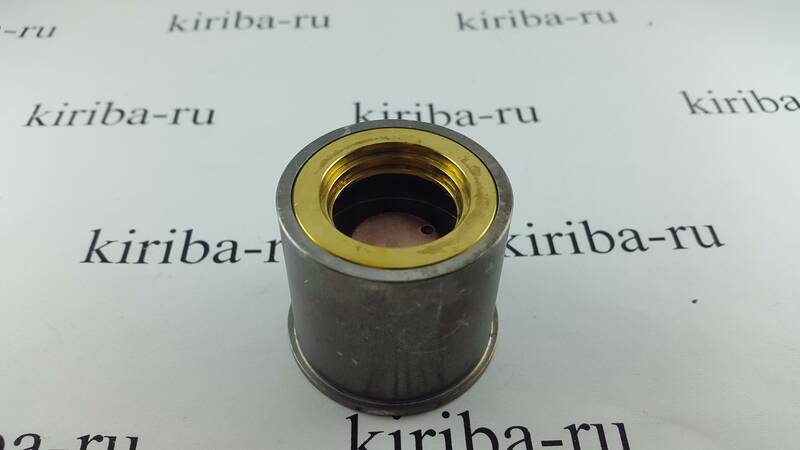 Guys, as I see you don`t have great interest in X5 quad pill/spacer. Maybe we shouldn`t make them? 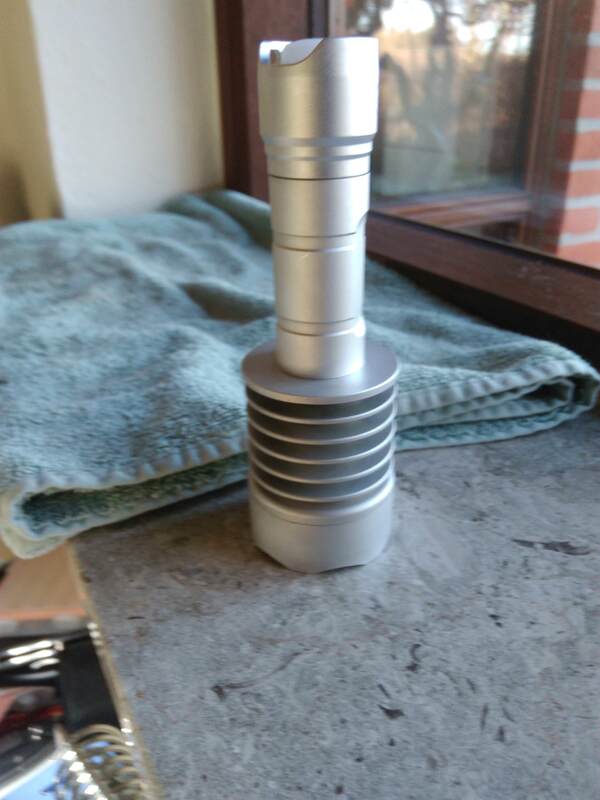 This host has really tight head and making full height pill/spacer for quad requires less than 1mm wall thickness in one place, this is almost impossible. Later I`ll add some drawings – simple spacer (low profile, without thread) should be better for my choise. There is one more problem with X5 triple. 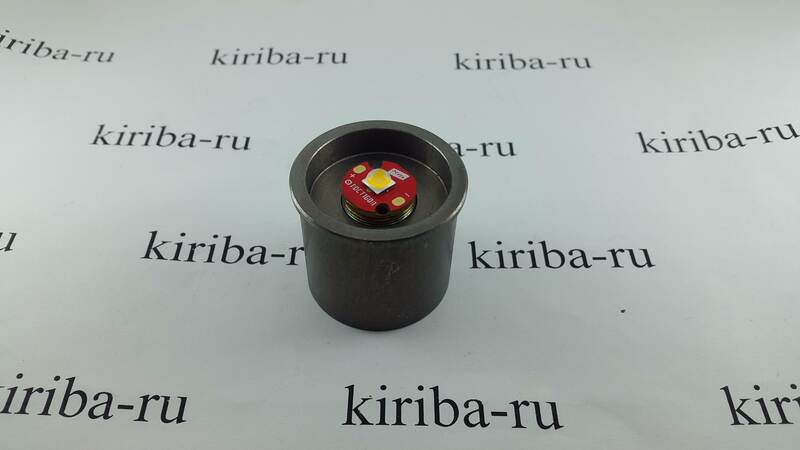 In stock it is assembled in this sequence: bezel-glass-o-ring-reflector. If we save this sequence, we need to use full height pill (or small pill/spacer one extra part, short tube between head edge and o-ring). The other way is changing sequence to this: bezel-o-ring-glass-optics. kiriba-ru, for the quad mcpcb the wires come through a hole in the center. The heat sink/spacer would only need a center hole accordingly, and the emitter shelf in the light will need to have a matching hole drilled. 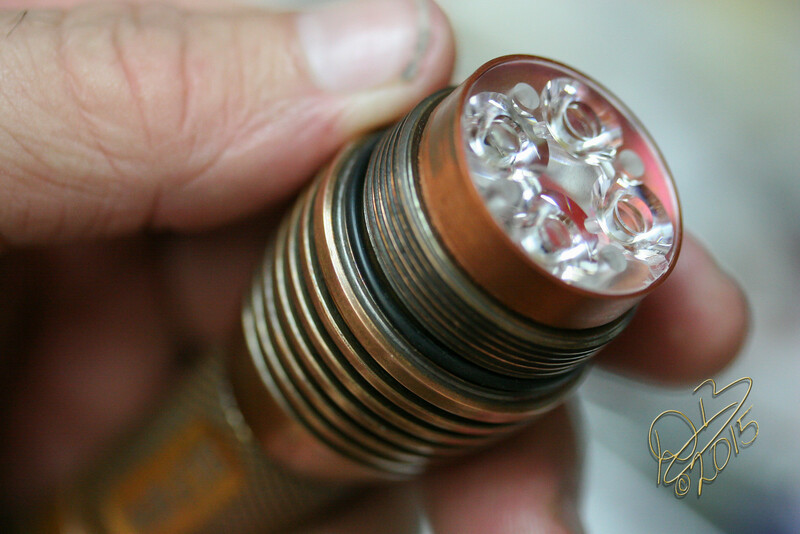 I use a center hole in the 32mm Noctigon for triples in the X6’s because it keeps the wiring safer. If the mcpcb is glued down, this isn’t so much a problem, but if thermal paste is used the mcpcb can twist when tightening the bezel and it will cut the insulation, grounding out the positive lead potentially and causing issues. I drill through the center pad (not needed) on the 32mm mcpcb. 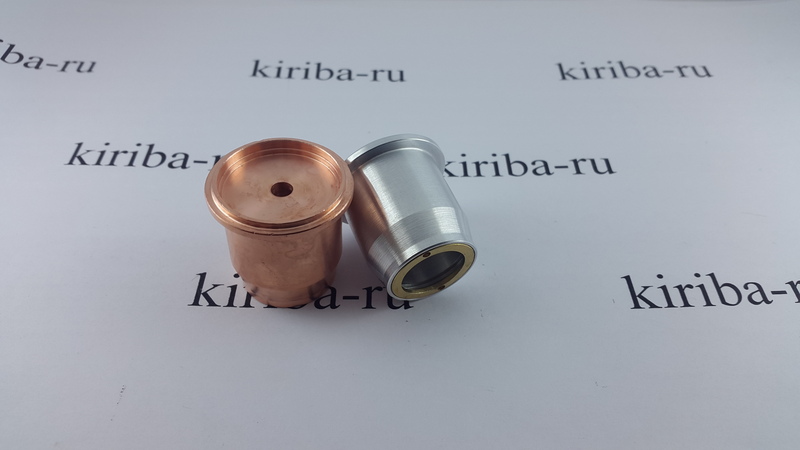 No threads are necessary for the new style X6/X5 heat sinks, the sink is lower than the threads and the threads have a wider diameter than the area immediately above the emitter shelf. UNLESS you wish to make a full lens-to-shelf pill that encapsulates the optic in the X5, then it might be good to thread it in. How do you imagine this? You are going to sell something with word “Yes guys, you need to take your unique copper head and drill a hole in the center”? 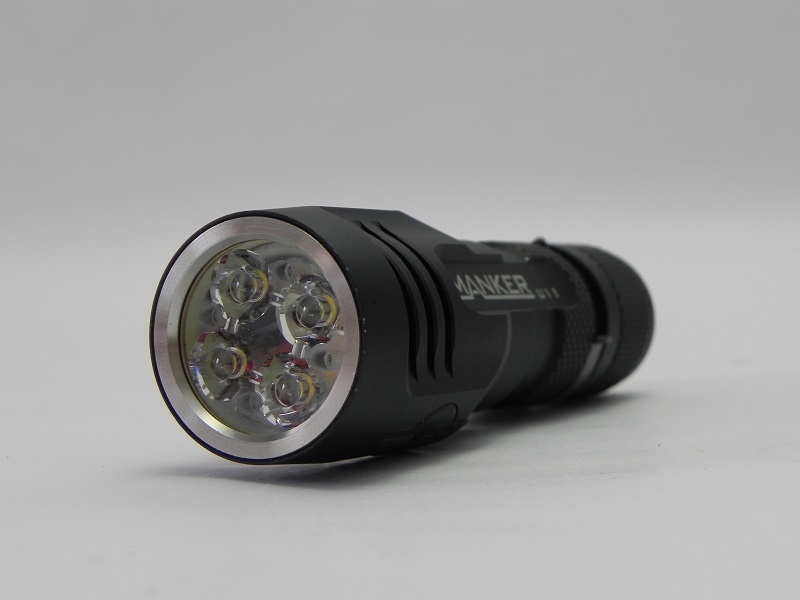 I would like to have X6 with 4 leds, when the central one is red and is blincking rarely. I have made measurements by my own and I`m not sure you are right. Upper edge of the thread is a bit (about 1mm) upper than the upper surface of mcpcb (when using carclo 6mm height optics) on X5. Full height (lens-to-shelf) pill seems to have to much problems. Low height pill can also be with threads ot without, but first one will be defenetly twice price of the second one. I have not heard any ideas about o-ring disposition. If we move it between glass and bezel, our optics sits a bit lower. But if somebody convince me that o-ring should be under glass (as in stock), I would offer him other variant with spacer+one more part – short tube, that will play two roles: directing optics and being lower plane for o-ring pressuring. Using triple is also a good idea for me, but most members associate triple with 24mm convoy host and want bigger optics in 31mm head. Even your design with ultra-low wall thickness (I`ll never make so) can`t improve standart watertight. 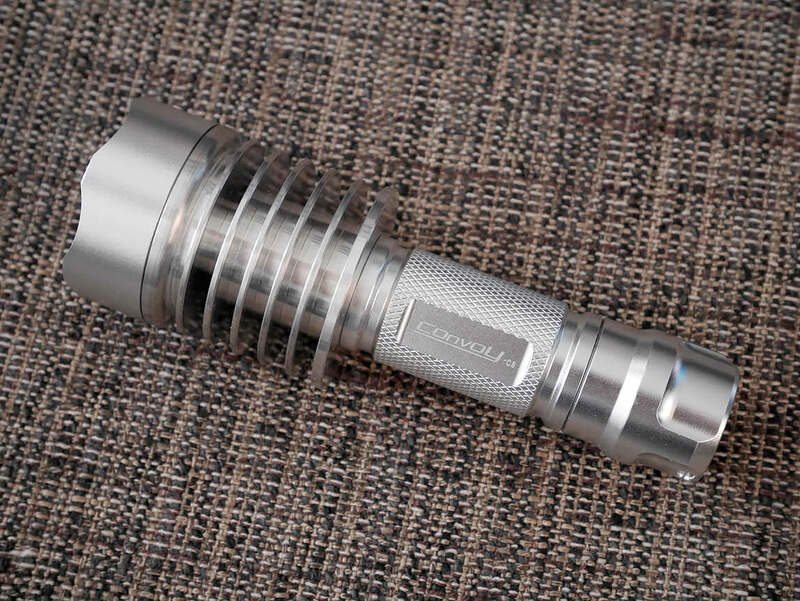 Stock reflector have a step for o-ring, your variant requires moving it out of the glass. This motion moves optics and pcb down, maybe that`s why do you say that spacer is lower than threads location. I don’t imagine it, it’s how they make the mcpcb for quads. Center hole for wire access only. No side holes. It is what it is. 35mm quad optics for the X6 are fine, but where are there any 32mm quad mcpcb? None that I can find. I use 4 10mm SinkPAD and build it by hand with careful placement, glue the star down with Arctic Alumina Thermal Adhesive. I built the first X6 triple, the first X6 Quad, the first X5 quad and probably the first X5 triple. I’m not saying my way is the only way, but I used what was available and made some adaptations as necessary. That’s why we call it modding. 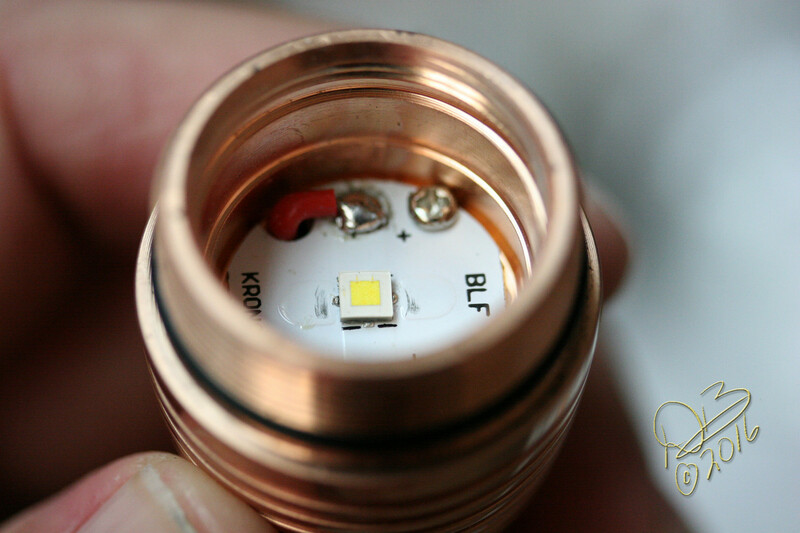 For the X5 in copper, I reflow the pill into the head when mounting emitters so the 32mm mcpcb, copper heat sink, everything… soldered into the light like one piece. 24mm optic falls through the bezel of the X5. No way around using the o-ring between lens and bezel. 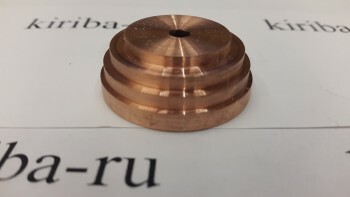 This is why I made the copper pill go all the way to the glass, so the o-ring could be at the top of the copper pill/spacer and the glass would press it to the sides, making the seal. It works. I’ve got 2 quads and a triple and I’ve built 2 other quads. 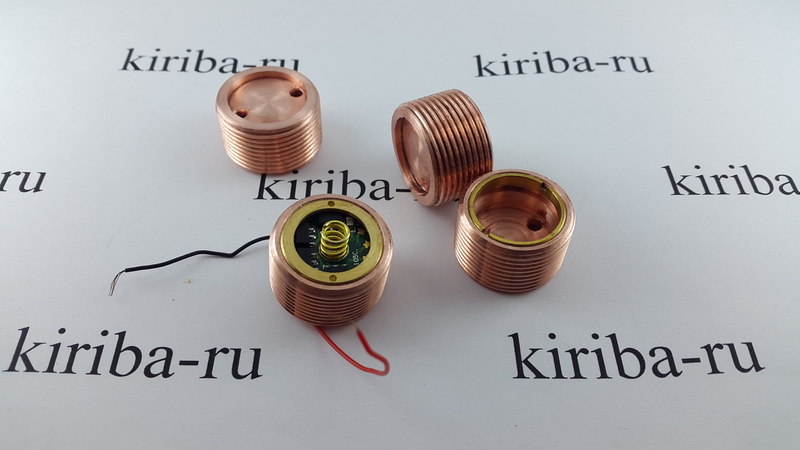 If putting the o-ring on top of the glass instead of under it moves the optics and mcpcb down, that is an internal spacer measurement that doesn’t affect the spacers relationship with the threads positioning in the head of the light. The X5 is not made in the same way as the X6 is. I don’t doubt your abilities. I`m trying to make thing for both who have them and who don`t. I haven`t say anything about X6 quad. X6 35mm triple or X5 24mm quad only. You should see X6 spacer drawing in first post. I never tryed making side holes, the idea is to make straight central hole+mill grooves for wires. That`s the way to except host drilling.